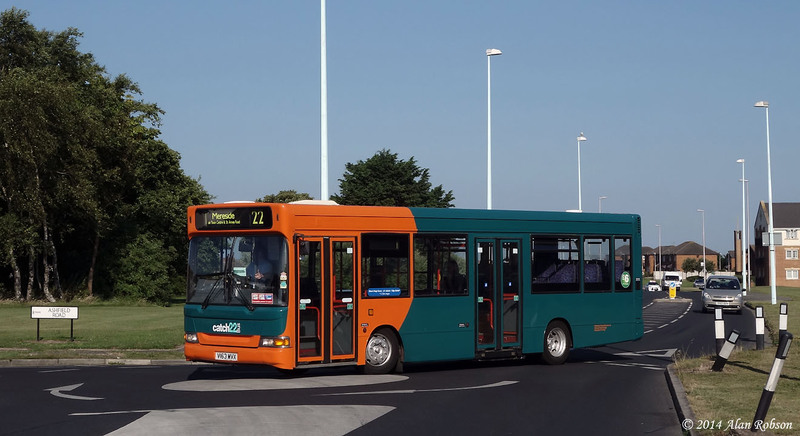 Oakwood Travel's former Stagecoach London Dennis Dart V163 MVX has lost its yellow and blue Bispham High School advert livery, and entered service wearing the new turquoise and orange Catch 22 colour scheme. 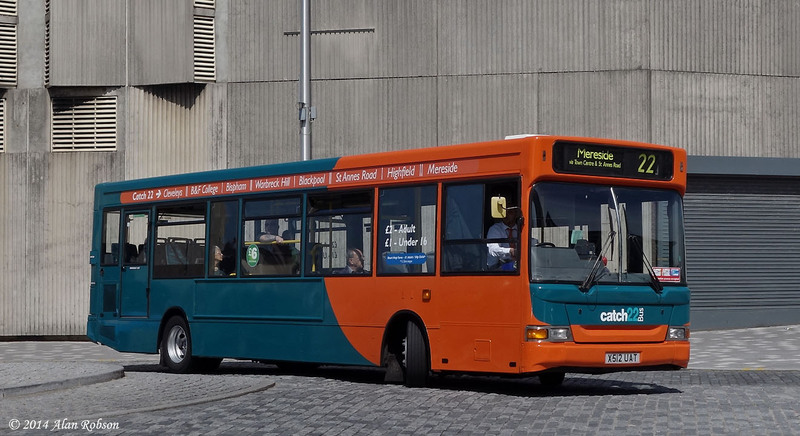 163 had been out of service since September 2013, but after receiving attention the bus re-entered service this week wearing the new Catch 22 colours on 22nd July. 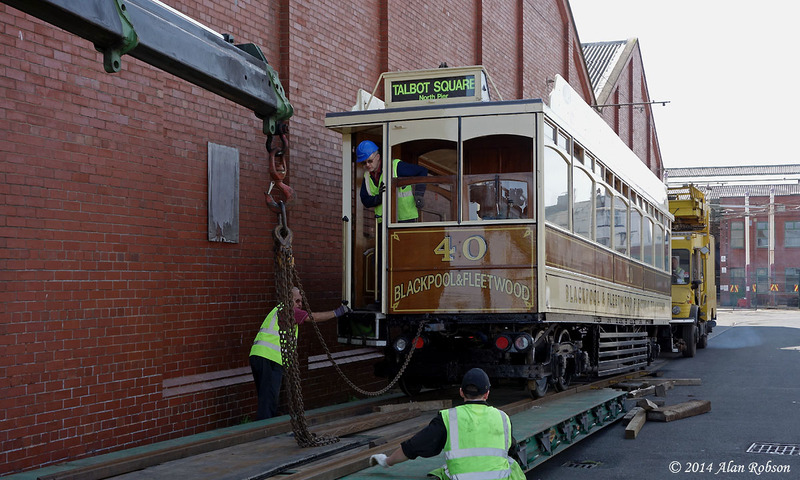 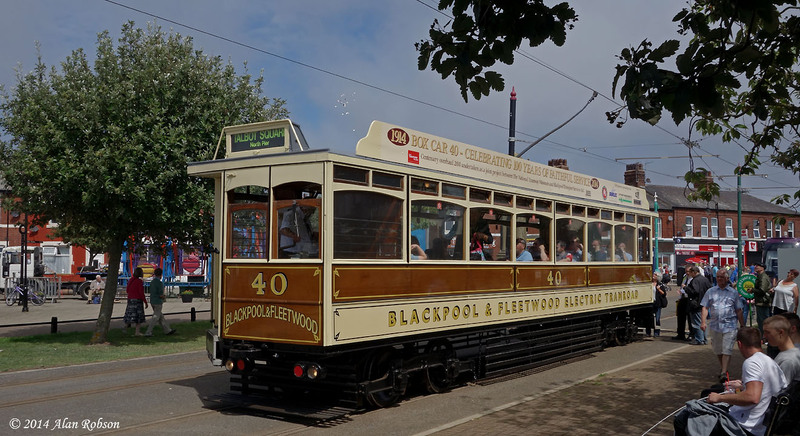 Blackpool & Fleetwood Box Car 40 departed for a short period of loan to the National Tramway Museum at Crich on the morning of 21st July. 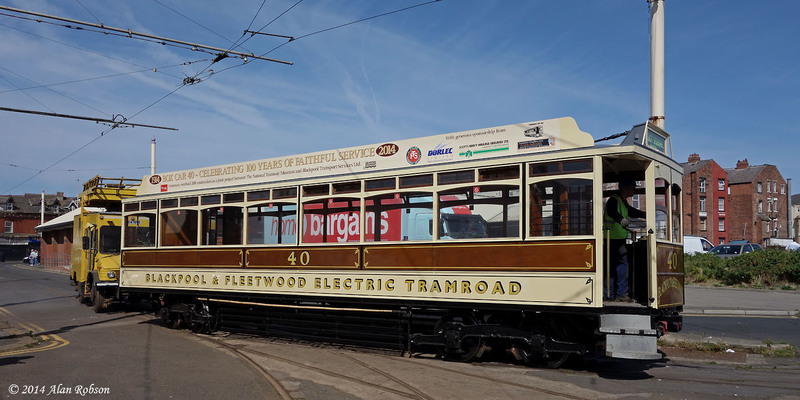 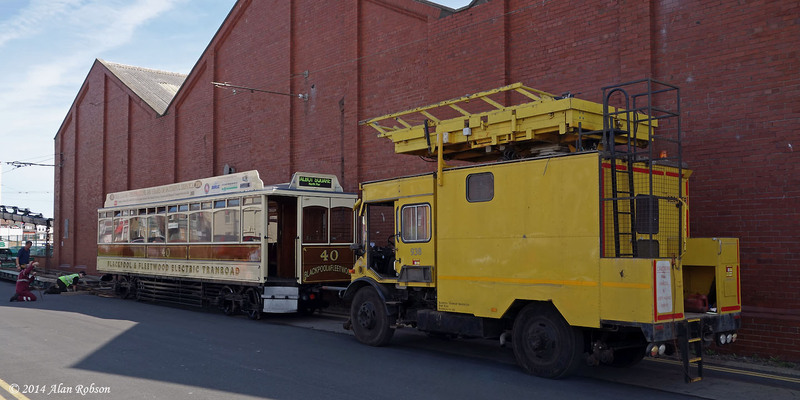 After 40's brief return to service during Tram Sunday on 20th July, the tram has been transported to Crich where it is scheduled to take part in the Electric 50 event on the 13th and 14th of September. 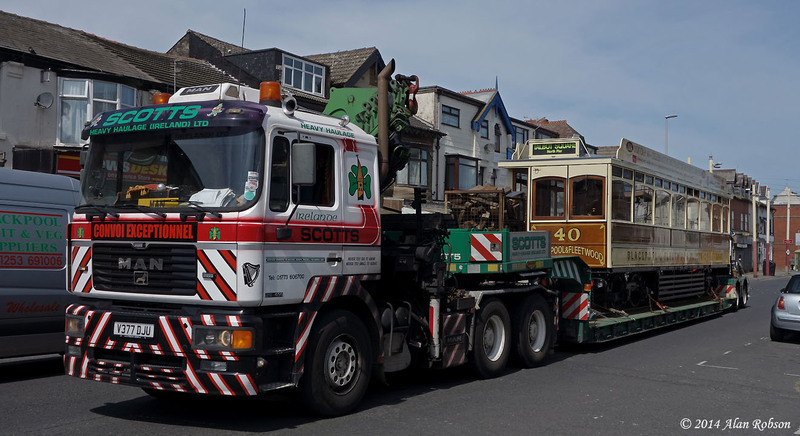 Scotts Heavy Haulage were tasked with moving Box 40, and after an uneventful loading on Monday morning, the low loader set off from Blundell Street with its precious load at 1135. 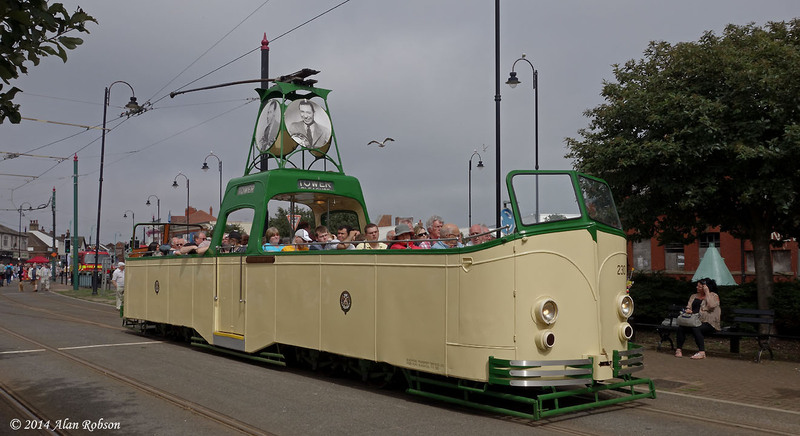 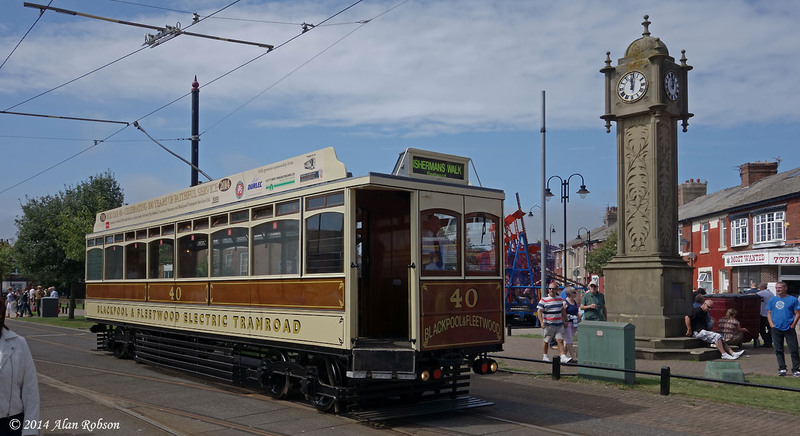 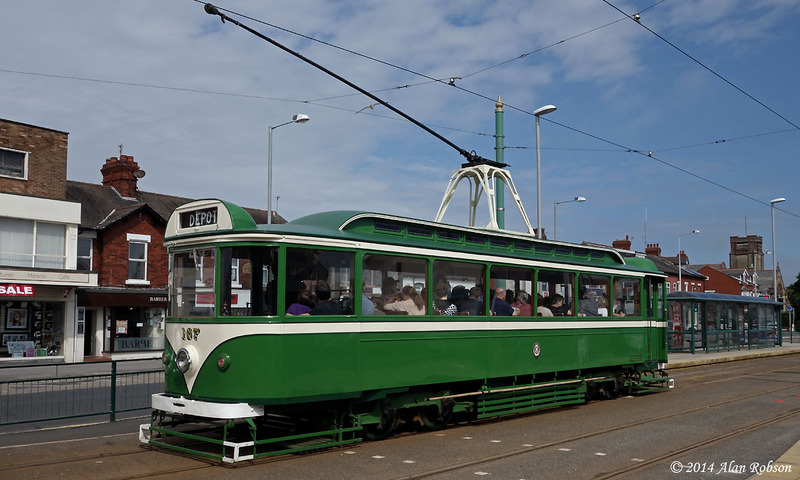 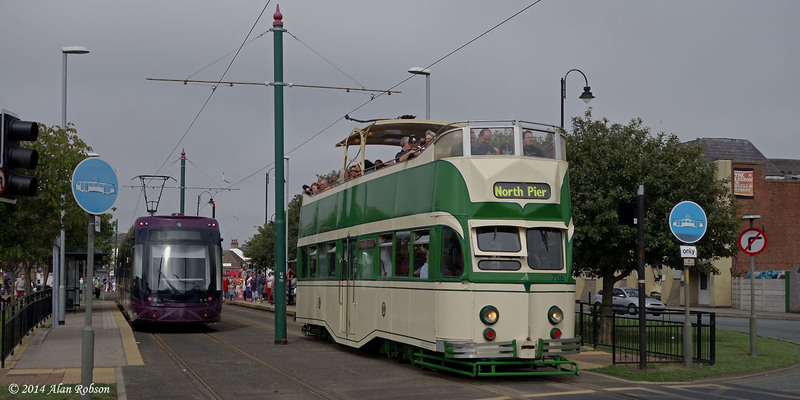 The annual Fleetwood Festival of Transport, commonly known as Tram Sunday, was held on 20th July. 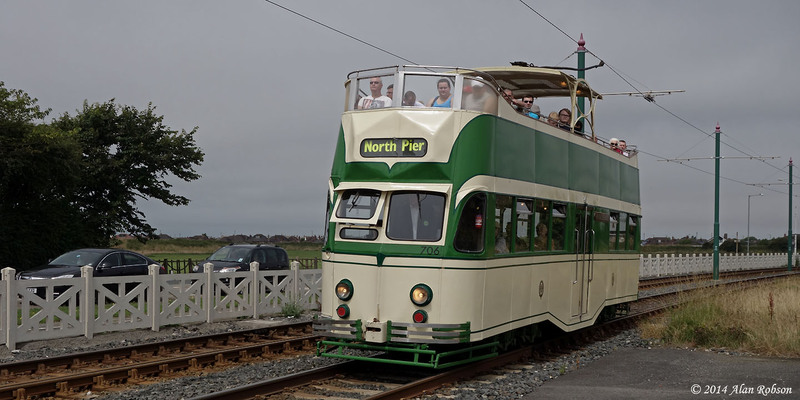 Blackpool Transport ran a half hourly Heritage Tour service from North Pier to Fisherman's Walk in Fleetwood for the duration of the Festival. 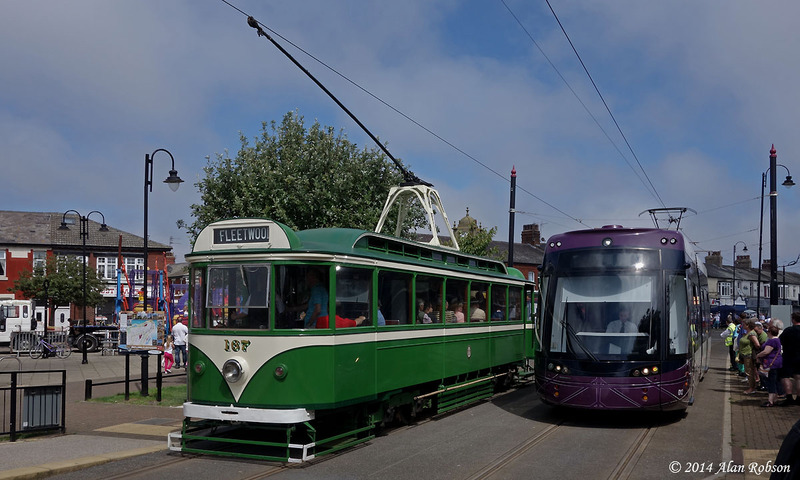 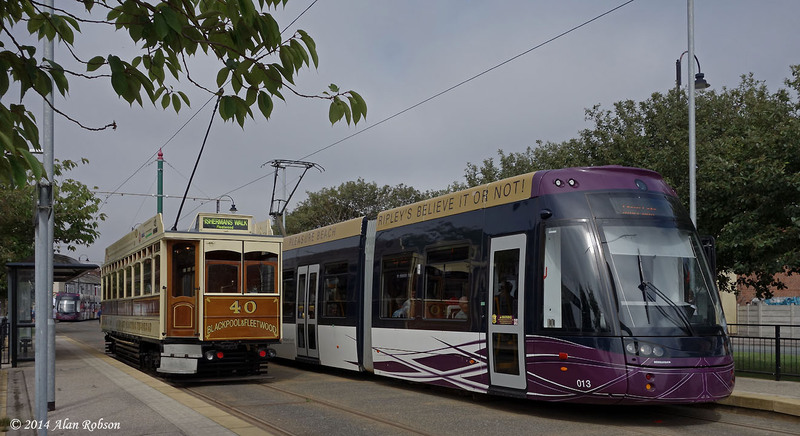 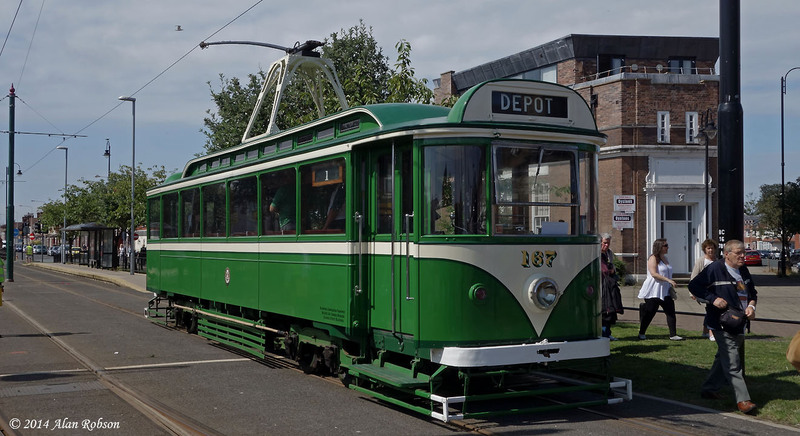 The trams in use on the heritage service during the day were Pantograph Car 167, open top Balloon 706 Princess Alice, newly refurbished Box Car 40 and open Boat 230. 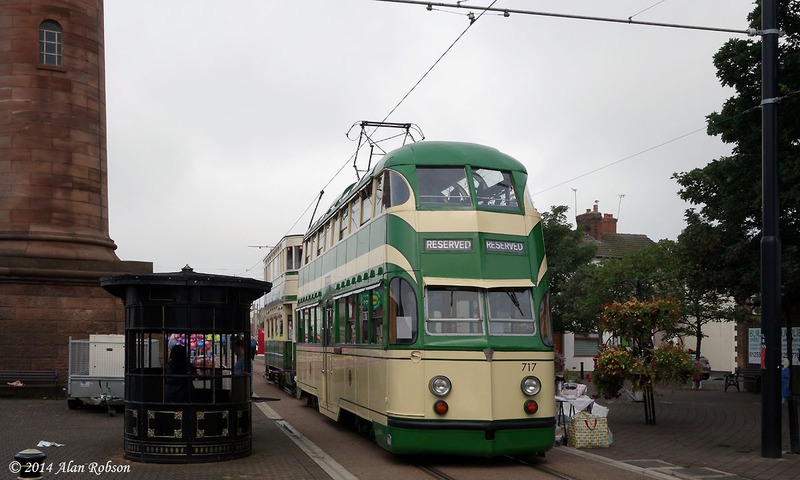 Standard 147 and Balloon 717 were on static display next to the lighthouse in Pharos Street all day. 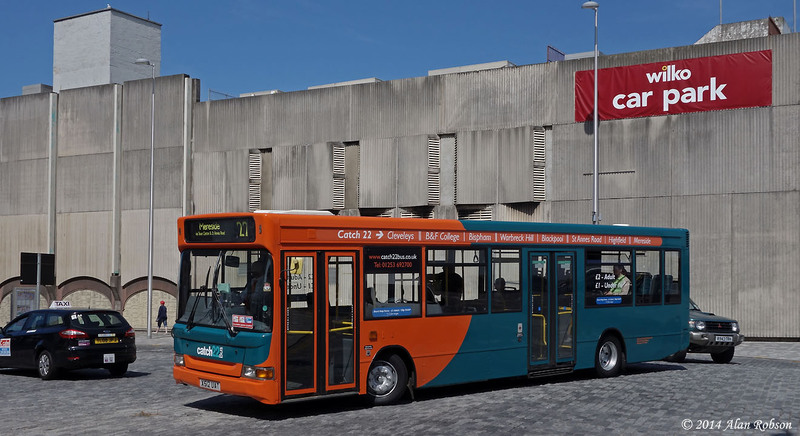 Oakwood Travel's ex Transdev London Dennis Dart X512 UAT has lost its former red and grey colour scheme, and has now entered service wearing the new turquoise and orange Catch 22 livery. 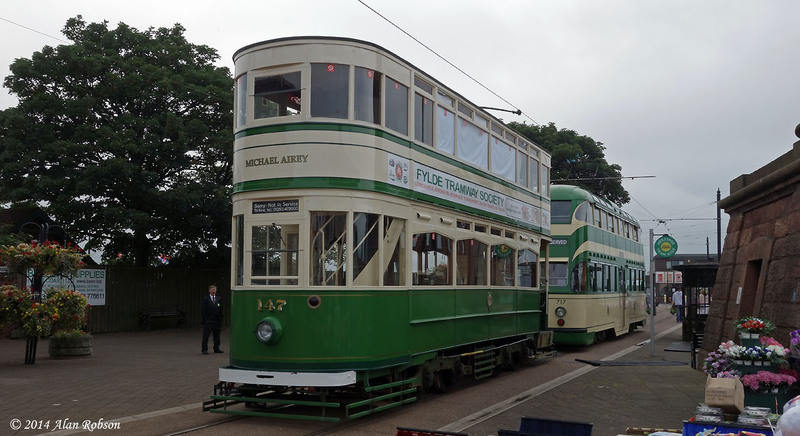 The vehicle made its debut into passenger service carrying the new colours on Thursday 10th July.